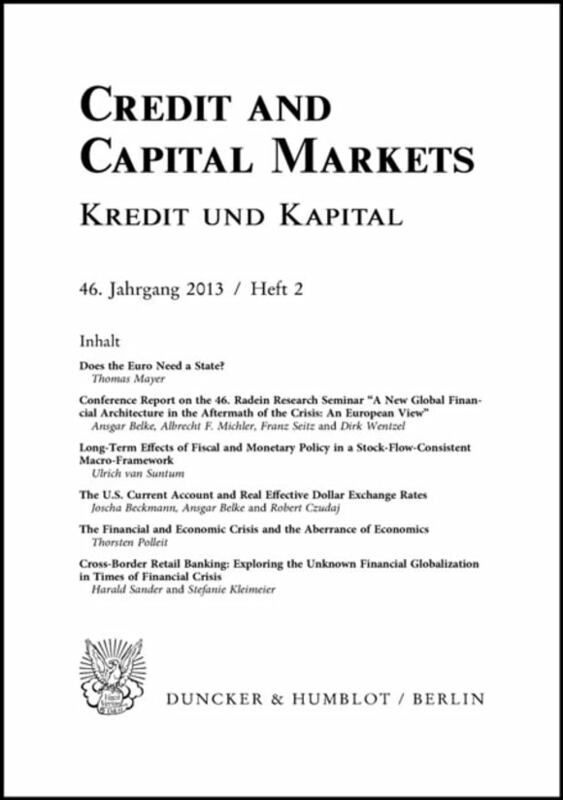 Guidelines for Authors and for Referees. 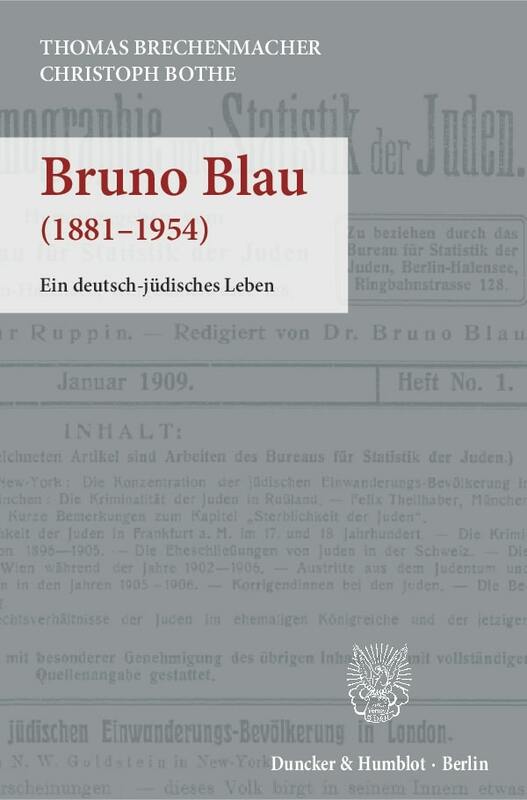 References to the Author's Rights. 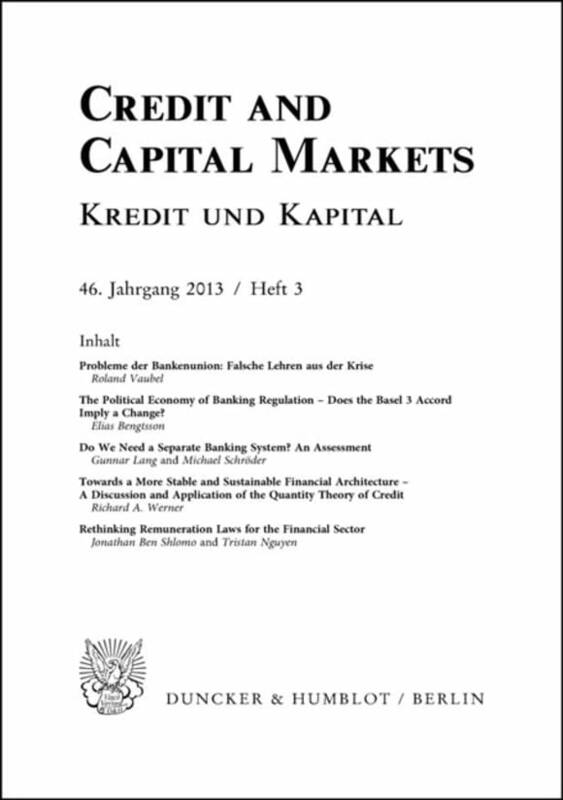 Credit and Capital Markets is a scientific periodical based on the principle of double-blind review. 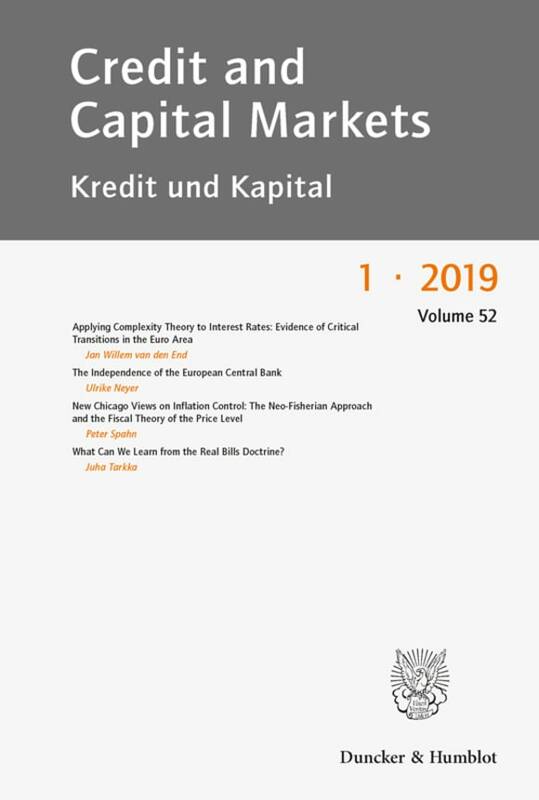 It publishes analytical and empirical studies in the fields mentioned hereafter: stability and growth processes in national and international markets, monetary and foreign-exchange theory and policy, financial market theory, bank management and banking regulation policy. 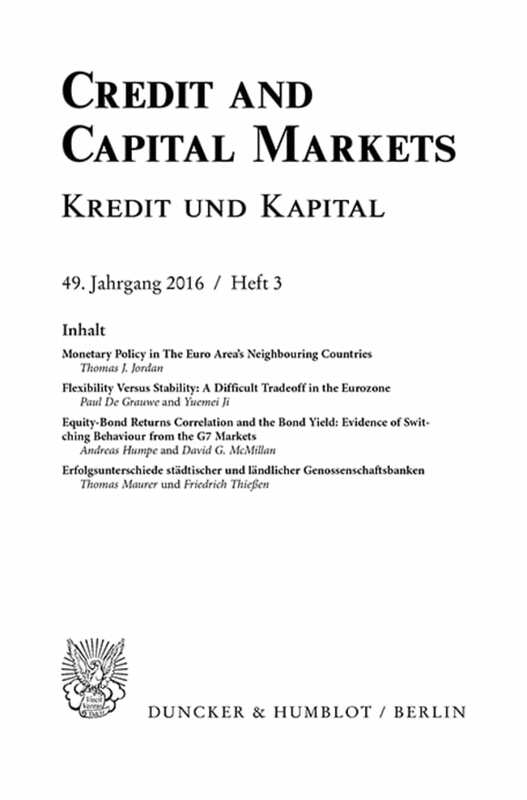 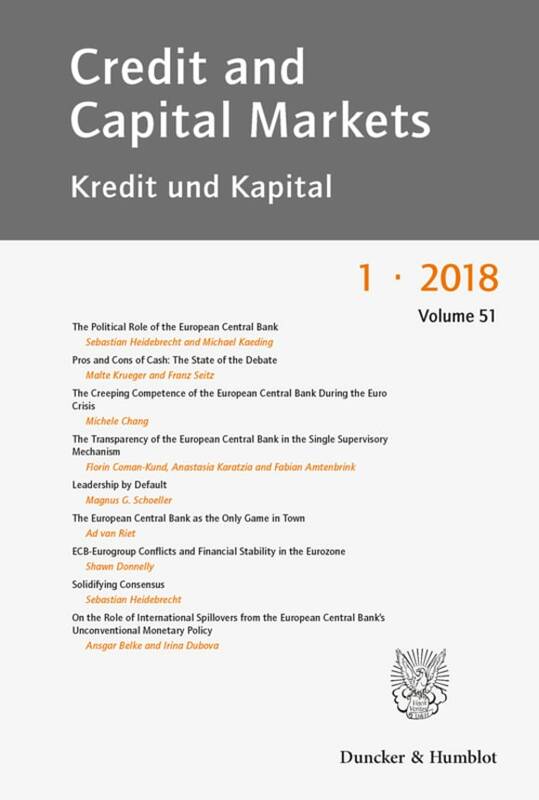 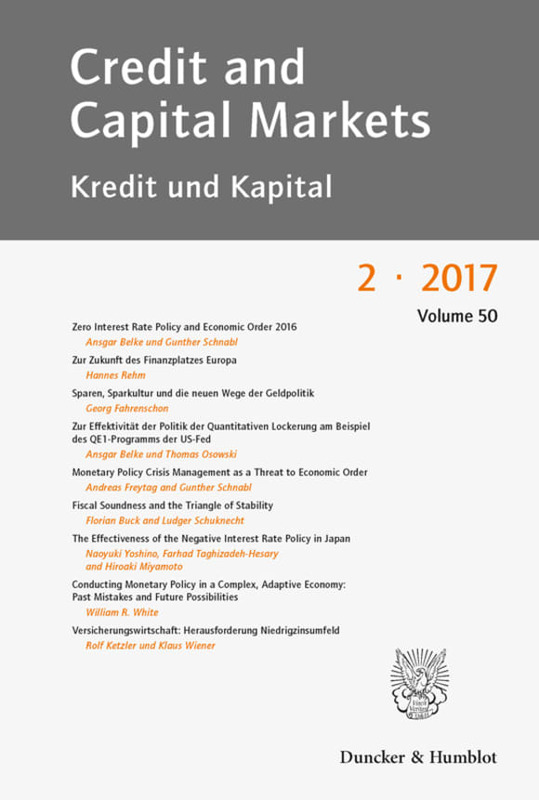 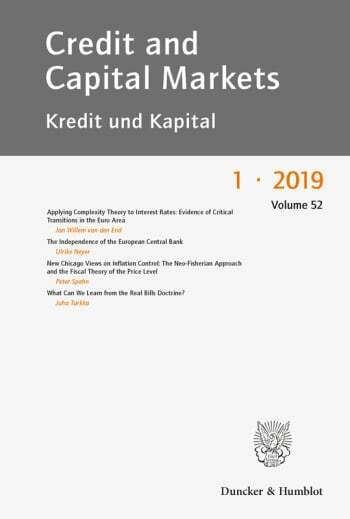 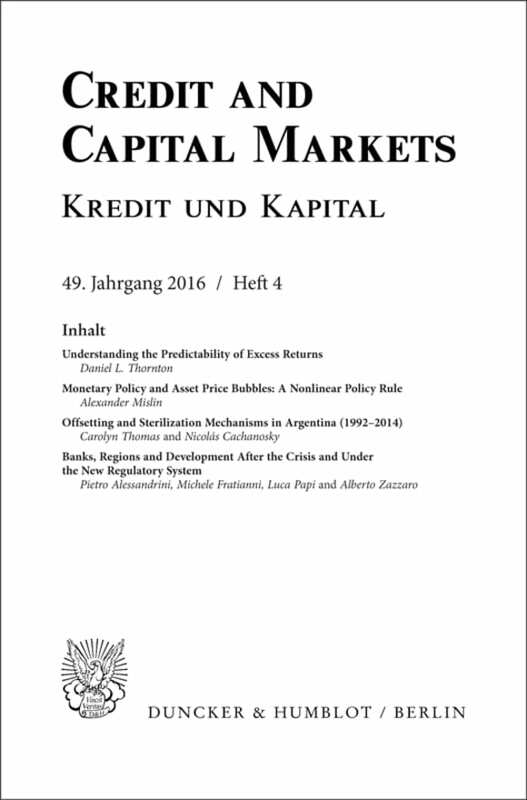 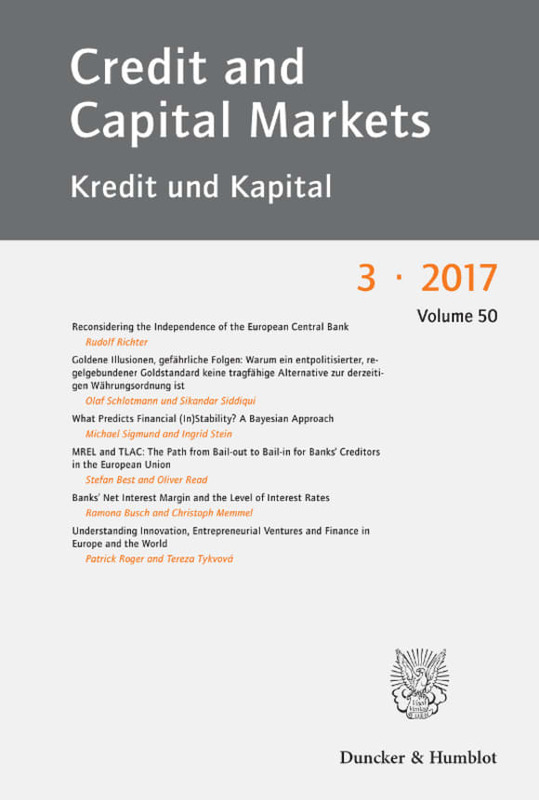 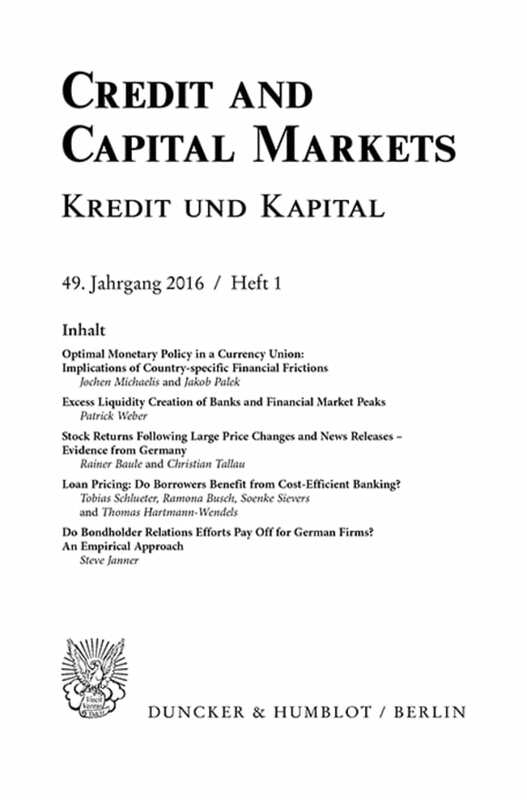 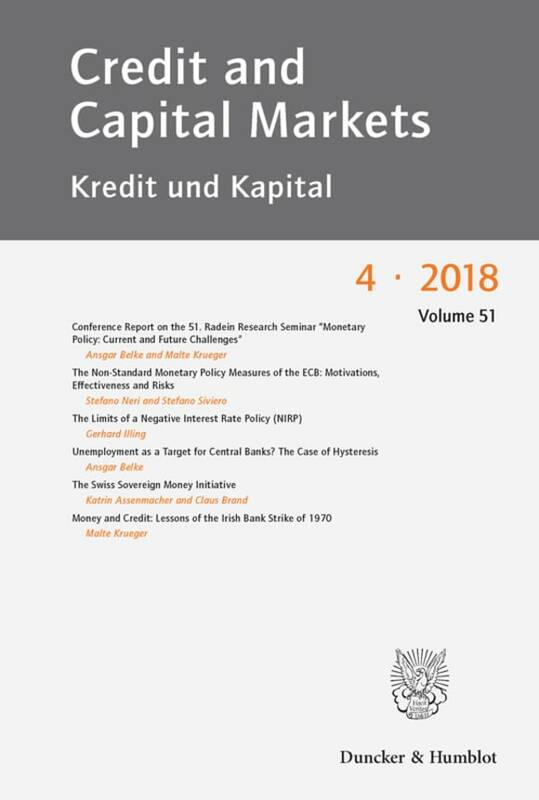 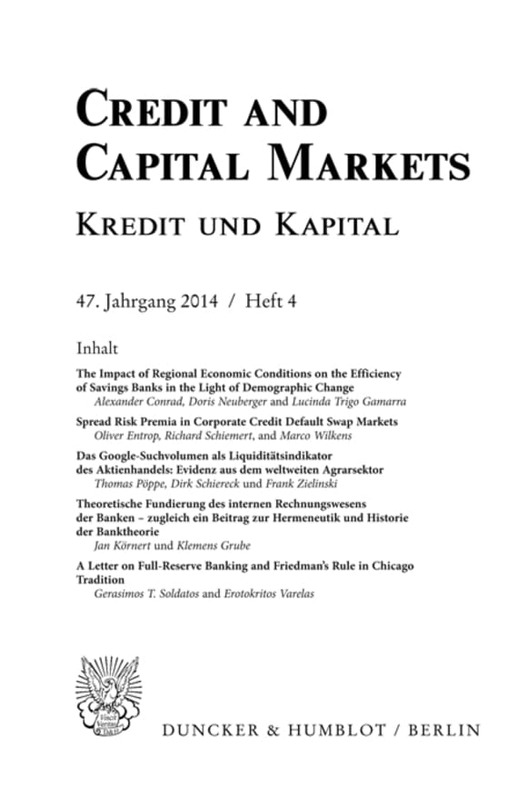 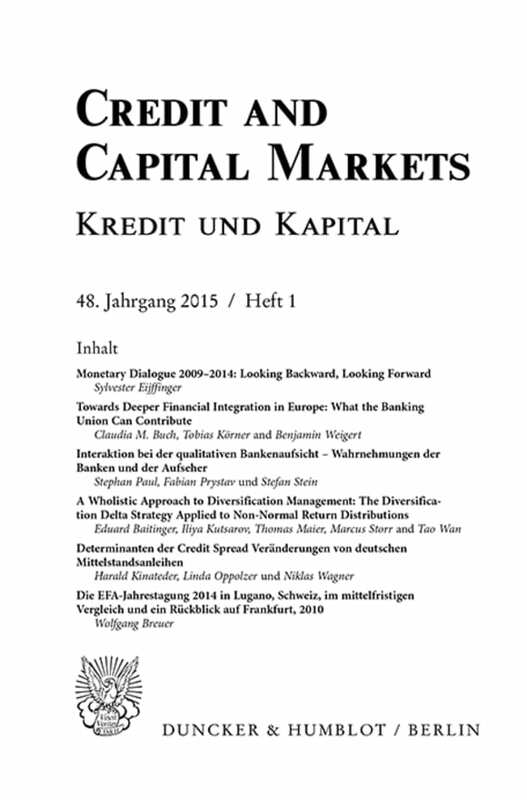 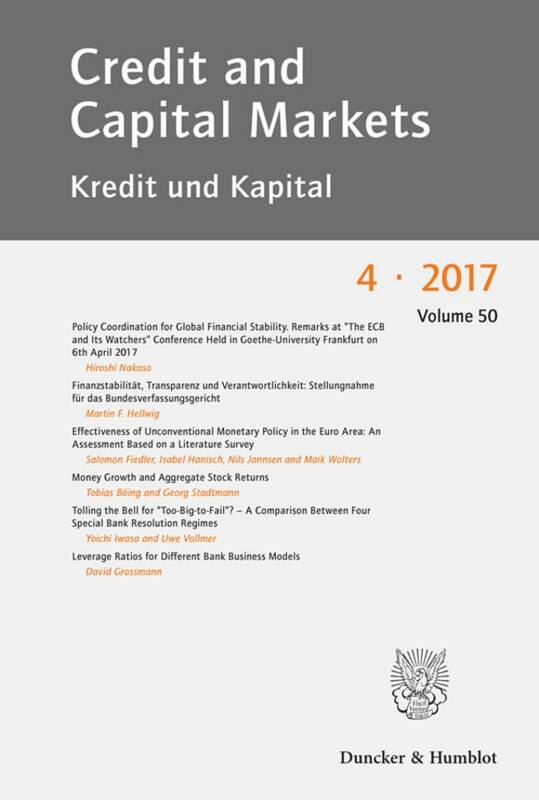 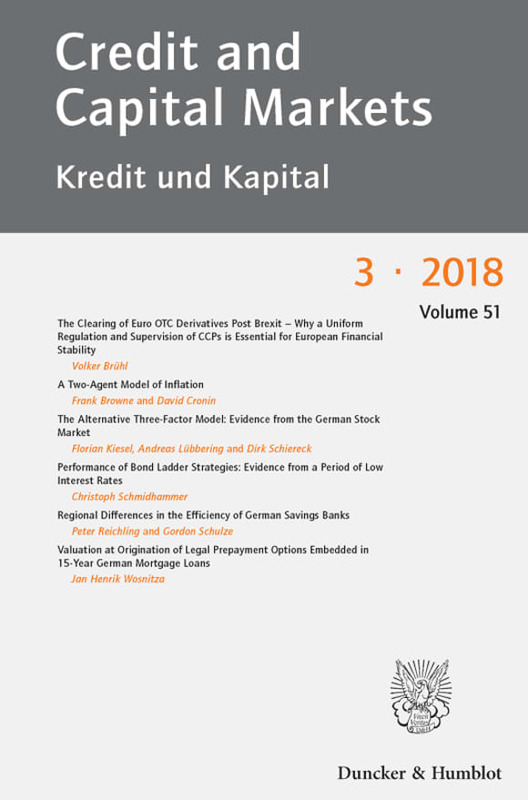 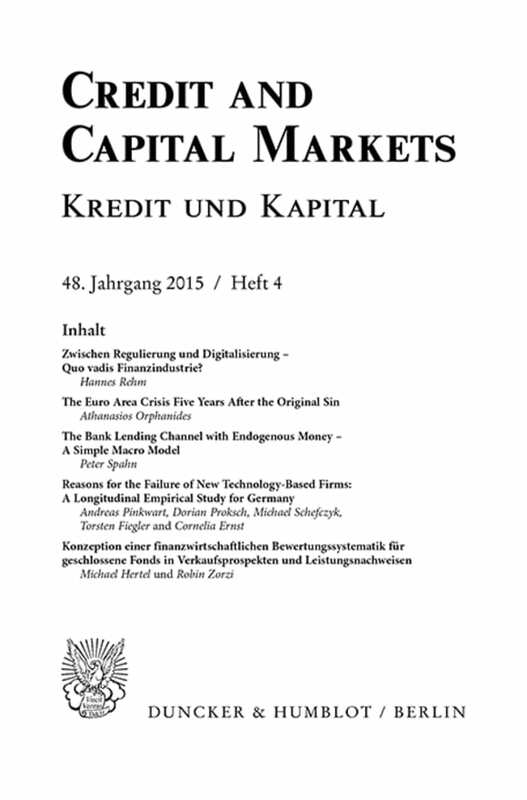 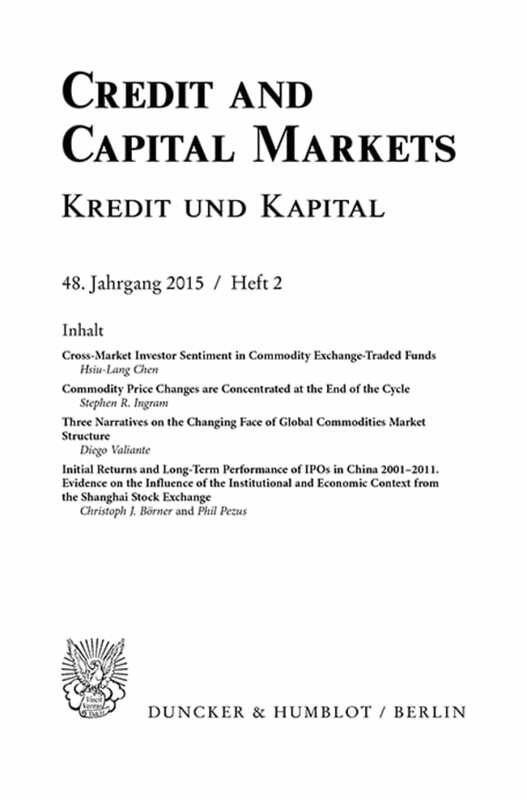 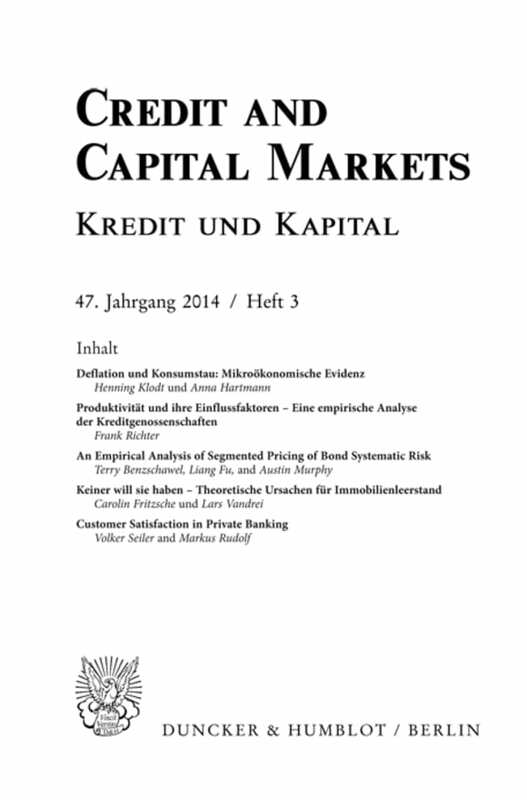 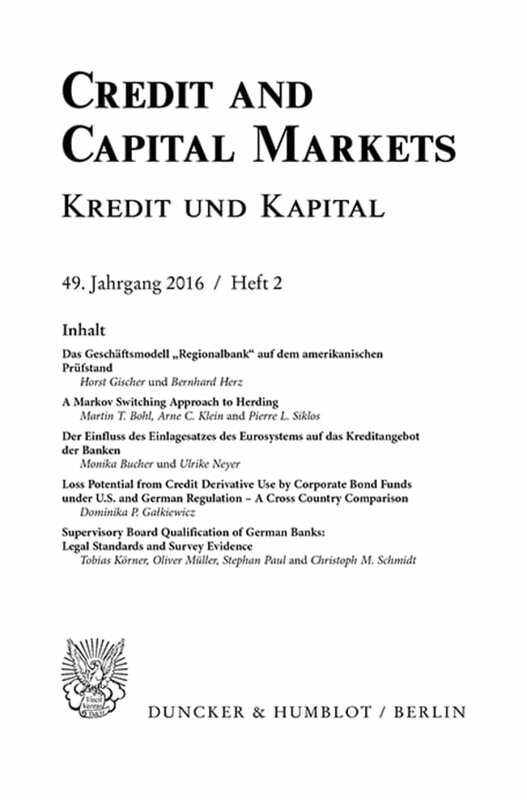 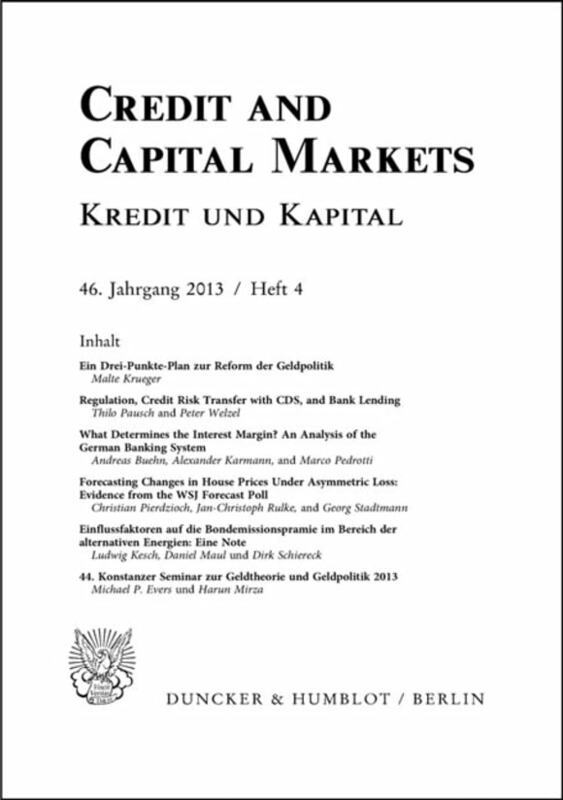 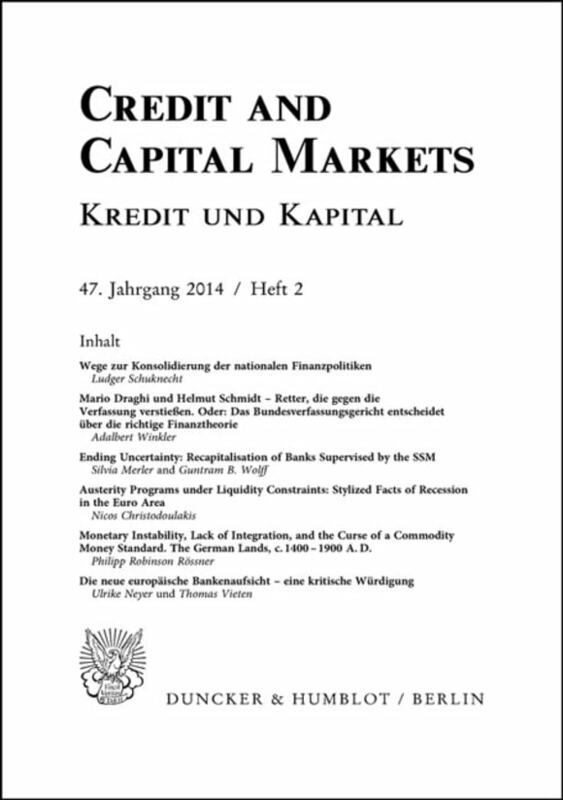 Since its establishment in 1968, Credit and Capital Markets has published approximately 1.000 contributions, including many seminal articles and is respected internationally in research and teaching, in theory and policy. 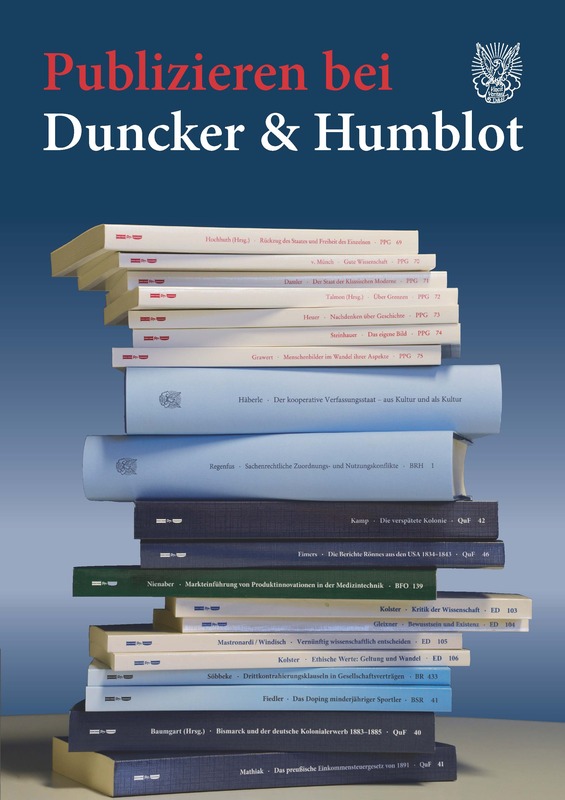 Authors shall undertake upon manuscript submission not to publish or offer these manuscripts for publication elsewhere before a decision on acceptance or non-acceptance has been taken. 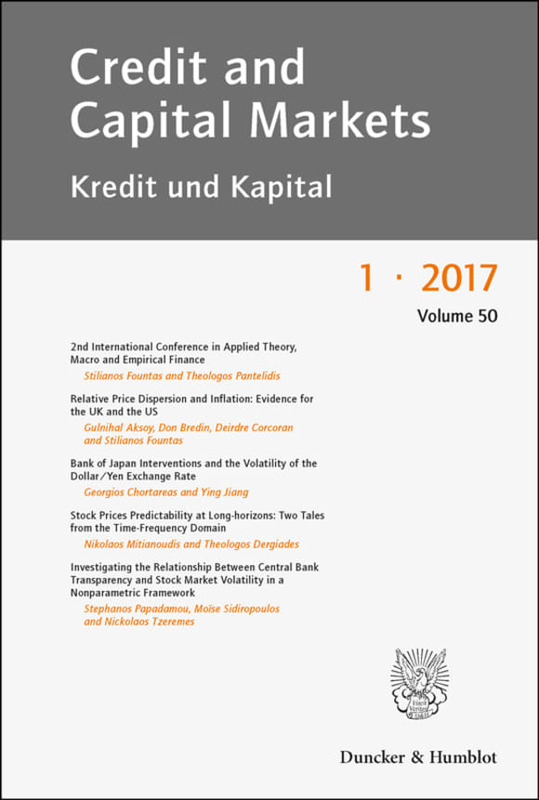 Furthermore, authors shall abstain from any further publication within a period of one year from publication in CREDIT AND CAPITAL MARKETS. 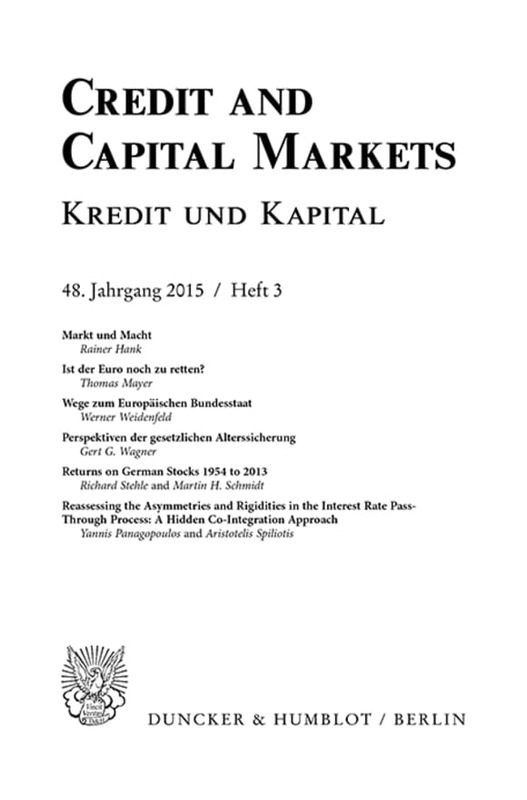 After acceptance of a manuscript, formatting requirements are to be met (hyperlink). 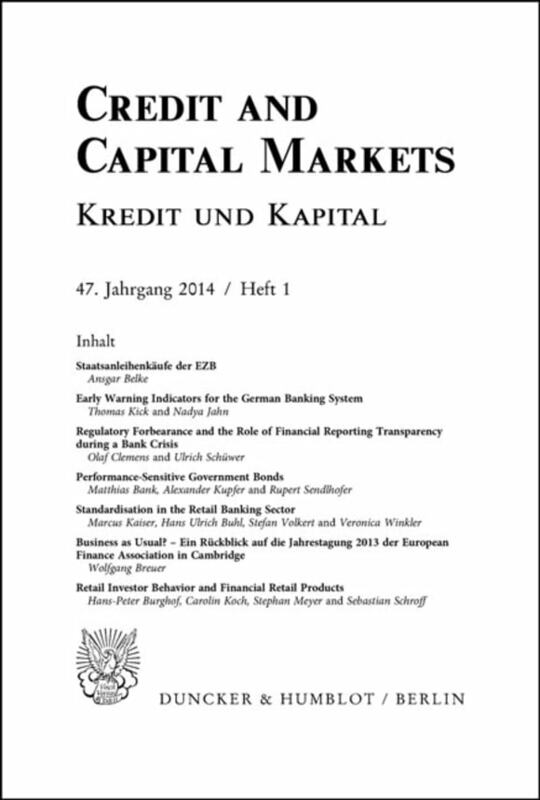 We kindly offer you to comply with these formatting requirements already prior to submission. 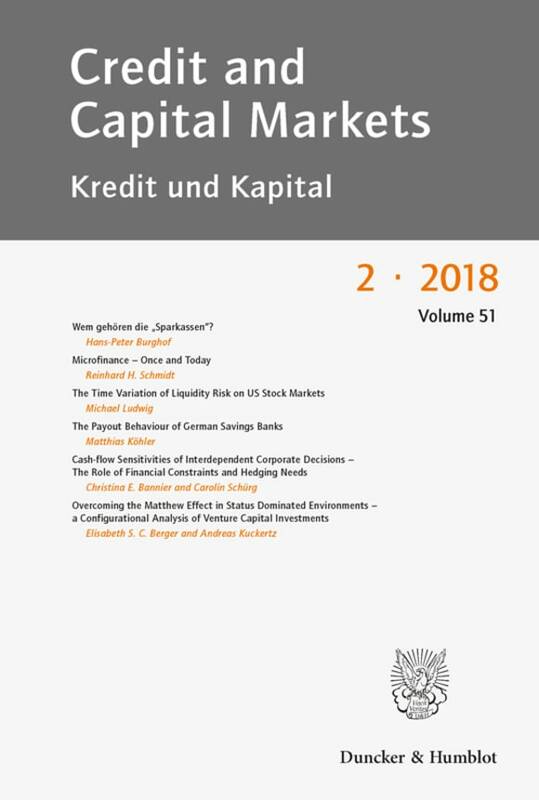 You can also use the template.